It’s been a month here in Bombay now. Sea and nightlife, what else can anyone ask for. The fast pace of the city sinks you so easily into its life that you almost forget that it was just a month back that you were roaming around in the streets of Amar Colony. Back then, I used to crib about how I miss my first home, Kolkata, my para. Here, I am in a dilemma. Do I miss Delhi more or my para, or am I too much in love with the city of dream? The answer wasn’t that simple. When a Mumbaikar asks you where are you from, Delhi is the first place that comes to my lips, though Kolkata still resides in my heart. After eight years in the city, you simply can’t help falling in love in the city. In fact, in a city like Mumbai, when you hear a Delhi lingo, it amplifies your energy level to infinity. Having spent my early days in Kolkata, things were cultured a little differently into us. The cliché goes; we are not as loud and rowdy as North Indians are. But when in Delhi, act like a Delhi’ite. Every evening when I reach home, as I sit back, nostalgia hits me back. I miss my family back home and miss my Delhi life. Television here becomes my perfect escape and as sports enthusiastic, Pro Kabaddi is like my new addiction. The game has so much energy and electricity in it that it diverts my attention instantly. 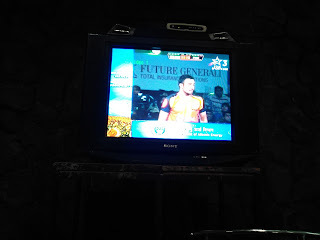 In fact even when I go to the common Dining Hall (DH) of the college for Dinner, there is Pro Kabaddi matches on as everyone seems to be hooked onto the excitement of Kabaddi. That was it, all my tiredness went down the drain as dual nostalgia hit me back. That’s like ‘Apne Launde’ playing my para. And sitting amongst a crowd that supports Pune, for obvious reasons, things really did push my adrenaline to the next level. The initial proceedings by Rohit Kumar got us a lead in his first attempt, and it once I was there standing on the chairs, behaving like a typical Delhi’ite, shouting! (plus connotations and denotations). The match of course ended in our favour and I went bonkers with happiness. Somewhere then, the guy from Pune did ask me, ‘Aren’t you from the Eastern side of India? Right then I realized, I missed Delhi more than anything else. Dabang Delhi involuntarily made the Delhi side of me come out. You know, the name has it, Dabang. Somehow it speaks of the very spirit of Delhi. The city has its own warmth and that is something which is totally reflected in the team. Even though the match was played in Kolkata, the spirit of Delhi like engulfed the entire stadium. At the end of the match, one thing was clear in my mind. I missed Delhi, more than anything else.